Established in 1976, EXTEND Exercise has roots in exercise, health, movement and dance. Participants are encouraged to ‘keep fit’ because they know the benefits of exercise. 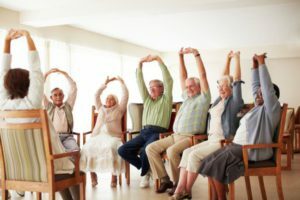 EXTEND Exercise offers a fun opportunity to meet people; it is stimulating; and it encourages a sense of well-being, personal satisfaction and achievement. The work of EXTEND Exercise delivers useful and vital service to older people and those less able of any age. The benefits bestowed on their groups by EXTEND trained teachers are clear from the physical, social and even mental advances among their members.